Seriously though, we all learned and became who we are by copying the actions, mannerisms, and beliefs of our parents or guardians. The same principle holds true with learning and understanding forex. Below you will find instructions and a few videos explaining how to use our week ahead forecasts and trading signals. 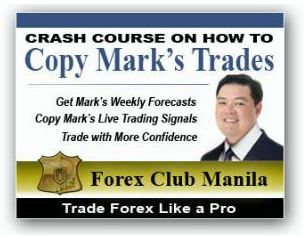 This is your crash course into properly “copying” our trades and our system as a whole. What this means is that On Wednesday, May 13, 2009 we will be readying ourselves to buy USD/JPY because there is a fundamental reason to. At 8:30 PM (this is GMT +8) the US will be releasing its Retail Sales report and we believe that it will be Bullish! Now we will go a step further, we will tell you around what time we might trade. 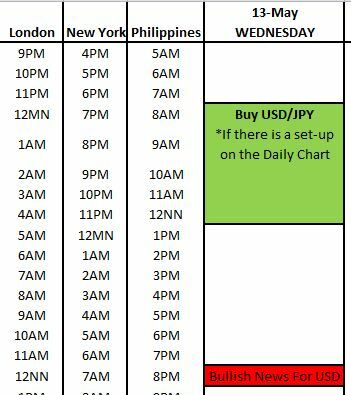 The timing window for this particular trade will be between 8AM to 12NN (GMT +8) and we have a reason behind our timing windows (which we explain further in our fundamental analysis course available to Lifetime Members). Now we said we might trade this during the timing window because we need to do the next step. Verifying the trade set-up. When the conditions are right, as what you have just watched, we will issue a live trading signal which is a live trade with real money (We really put our money where our mouth is). You will receive this via Email and of course when you access our short term trading signals. Here is a sample of our live trading signal. You may want to copy what is highlighted in gray so that you can follow along and then click Video PART 1 when ready. Know that the Market can turn on you which is why Step 5 above is crucial.